Diagram showing Geocentric system of universe, 1539. 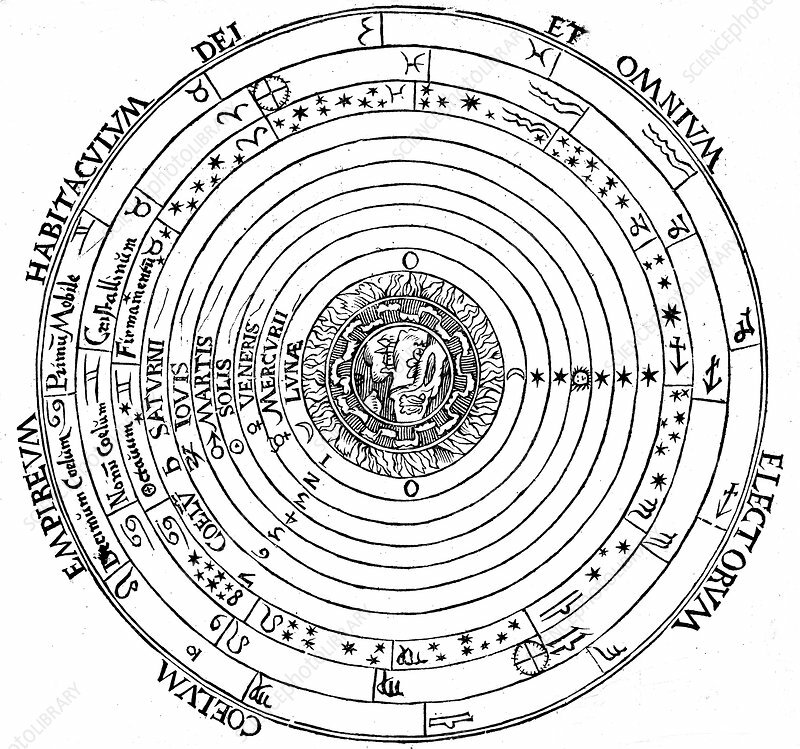 Geocentric (earth-centred) system of universe showing Aristotle's 4 elements surrounded by sphere of fixed stars, spheres of planets, primum mobile and abode of God. From Peter Apian Cosmographia, 1539. Woodcut. Artist: Petrus Apianus.